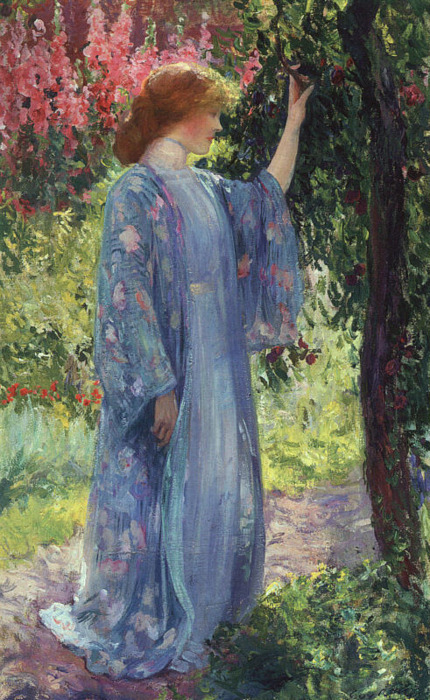 Guy Rose - The Blue kimono (1909). . Wallpaper and background images in the Fine Art club tagged: fine art painting guy rose the blue kimono impresionism 1909.